Eco Resource Network (ERN) is an active partnership of Faiths4Change, Liverpool World Centre and Energy Projects Plus formed in 2012. 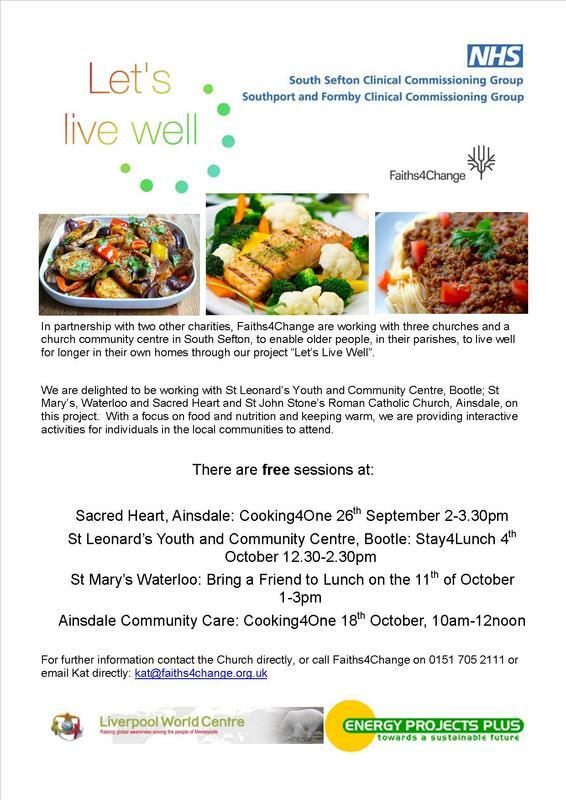 Faiths4Change coordinated the last partnership project - working with 3 faith communities in Sefton to develop their current work on health and wellbeing with older people and learn from each other. Focusing on nutritious food & keeping warm and partnership with other agencies, ERN offered practical sessions to enable older residents to actively share their skills, experiences and stories with each other. Enabling the faith communities to learn and share knowledge and practice with each other supports them to offer older people connected health and wellbeing support closer to home.